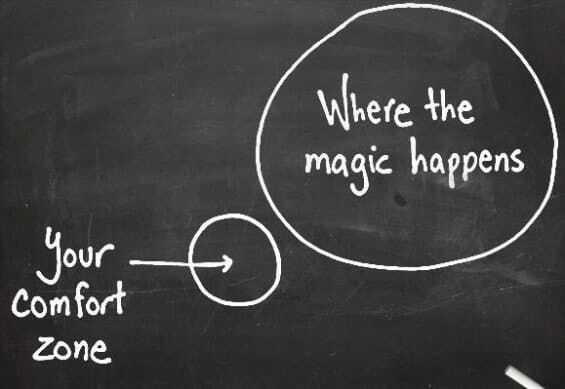 At Trans4mind we encourage people to step outside their comfort zone. Why is this? It is nearly impossible to discover the spiritual laws and principles that support our life by living within our comfort zone. Take the spiritual quality of faith. Do you really think you will learn how to live in a way that relies on faith, if you are comfortable? I remember an old friend of mine telling me the story about someone who came to see him about a decision he was faced with. He had to decide either to take a job full of promise, with a guaranteed income, and lots of extras, where he could also do quite a lot of good (perfect job you might think?) or whether to go out on his own and start a business. So he asked my friend (who happened to be a Spiritual Master) for his advice. My friend said start your own business, definitely the best path! The person was shocked at the advice and did not expect it. When the Spiritual Master was asked afterwards by an onlooker, why he had given this advice, he said that if the young man started his own business there would be many times when he would be on his knees praying for Divine Assistance, and in so doing learn to humble himself and listen to the Voice of God for guidance. This meant that over time he would draw close to God and come to depend on Him. Whereas if he took the worthwhile and well paid job, this would never happen. Another example of a spiritual quality that can only be gained outside your comfort zone is experiencing the Hand of God at work in your life. The modern term for this is synchronicity. Synchronicity is a term coined by Carl Jung, to explain meaningful coincidences that come together at an opportune time to aid or assist you along your life path. When we live within our comfort zone we do not really experience such coincidences, at least not to any extent. Whereas if we move outside our comfort zone then the Hand of God, as I like to describe it, comes to our aid. By living outside your comfort zone you discover that you are being sent all sorts of help and assistance you didn’t expect, perfectly timed to fulfill needs that have become urgent. And if you begin to operate well outside your comfort zone then these synchronicities come thick and fast, so that you are entirely dependent on them and sustained by them. Do you think you could ever experience this if you did what you had always known - if you had stayed within your comfort zone? A third example is life purpose. Because our life purpose is not something we buy into, but rather something that grows out of us, then by definition it is a unique reflection of the person we really are. Consequently in its truest form, we have to create it. It cannot be bought off a shelf. If we listen inwardly and follow our quiet inner voice, we are led into our life purpose, one step at a time. This is achieved by leaving behind all we know and by embracing all we do not know. Our life purpose comes into view as we navigate our way out of the known into the unknown - out of our comfort zone into where the magic happens. 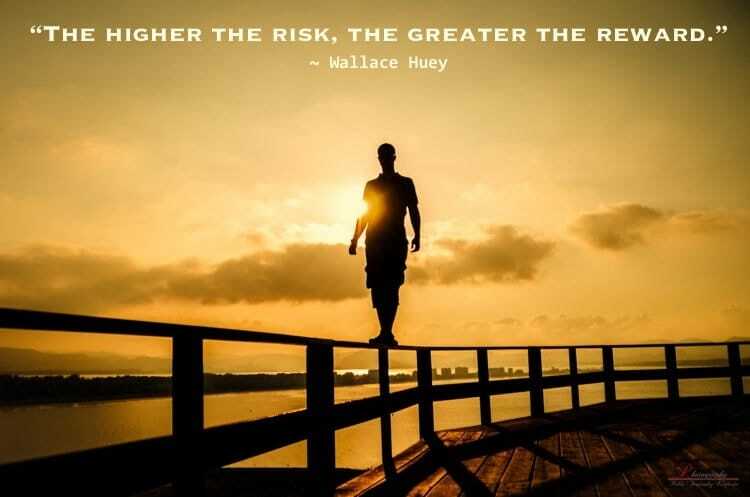 And the higher the risk, the greater the reward! Would you like to discover true freedom, faith and power? Then set out and walk along your own personal tightrope. You will discover how securely supported you actually are. Then freedom, faith and power will not be something you dream about, they will be something you have become! Through these means you become an embodiment of spiritual qualities - you become God!